Dr. Jehad Al-Qamish is specialized in diseases of the stomach and intestine colon and liver including all types of gastro intestine endoscopies for diagnosis and treatment. 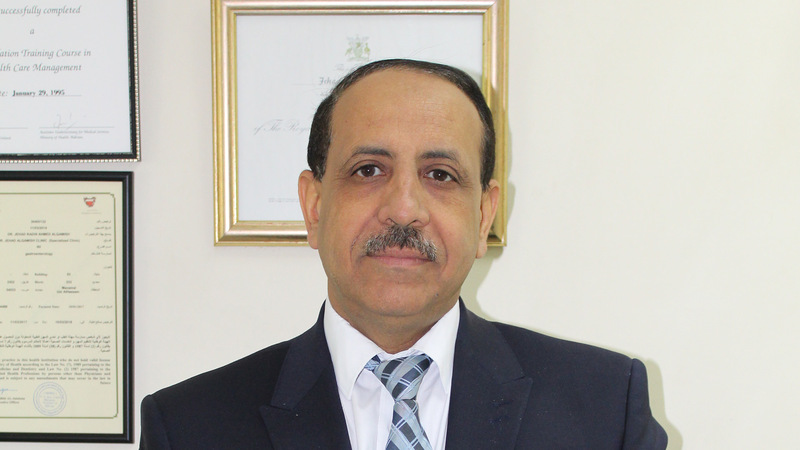 Dr. Jehad Al-Qamish has over 30 years of experience in Bahrain and overseas and has founded and worked as Head of Gastroenterology and Endoscopy at Salmniya Medical Complex. Dr. Jehad Al-Qamish joined Ibn Al-Nafees Hospital in 2001.